Ray tracing performance, even with Nvidia's super expensive flagship Turing card, the RTX 2080 Ti, has been rather poor. Even in games with optimization, we've seen FPS at 1080P with high-end ray tracing enabled leading to frame rates that barely make it past 60. 1440P or 4K performance was terrible, barely cresting 30 FPS at times. Battlefield V may see some improvement there though, as new driver and game updates have lead to a dramatic increase in performance. 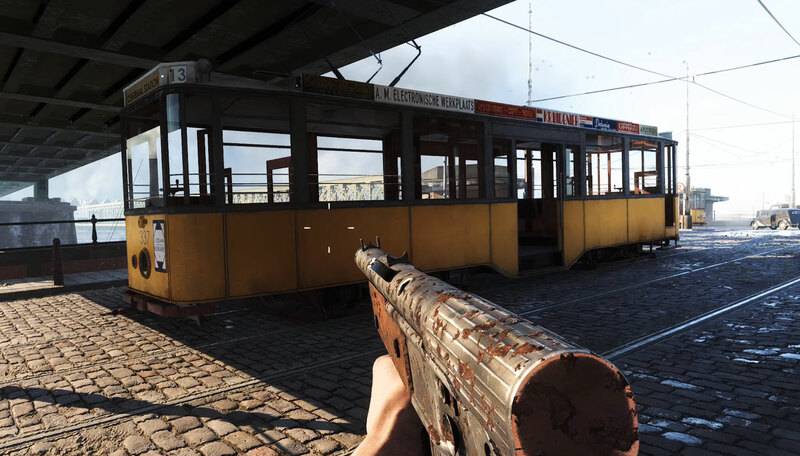 The updates you'll need to get to take full advantage of the new and improved performance in Battfield V are the Nvidia Game Ready 417.22 WHQL driver and the Battlefield V: Tides of War Chapter 1: Overture patch. With those in place, you can expect to see 60 FPS with everything maxed out at 1440P with a 2080 Ti, 60 FPS with ray tracing set to medium with a 2080, or 60 FPS at 1080P. This was all made possible thanks to optimizations the developers made to the game and the Nvidia drivers. They reduced the number of rays in certain settings, focused on additional rays where they matter, and changed how rays reflect off of debris in destructible environments. Despite these improvements though, none of the hardware is ready for 4K ray tracing and all the ultra settings just yet, but 1440P at frame rates around 60 FPS seems to now be possible. Which is alright I suppose. Still, $1,200 of GPU and hundreds of dollars more just to get that much at a middling resolution? It's a big ask, isn't it? Most people don't even know what's the diference past 30fps and yet we see companies and other entities raging about not having 120fps at 1440p, to me, this doesn't make any sense at all. Anyone out there will be more than happy with 40fps at 1080p... :| Sure 120fps is smoother, but is it really that important? If you're a Pro player, then get pro hardware, simple no ? Most people can tell the difference between 30 fps and 120 fps. If you can't than it's time to step away, and get yourself a console from last generation. You don't have to be a pro player to feel crippled by 40 FPS in Counter Strike GO or Battlefield. Same thing with racing games. Don't be silly with the generalizations. More people than ever before understands the importance of high framerate these days. Why do you think companies suddenly care? Because gamers ***** about it all the time, that's why. First person shooter = Fast/high FPS = Mouse Response. 60 fps = RPG's. 30 fps below = Laggy, 1/4 of a second delay, bad experience.